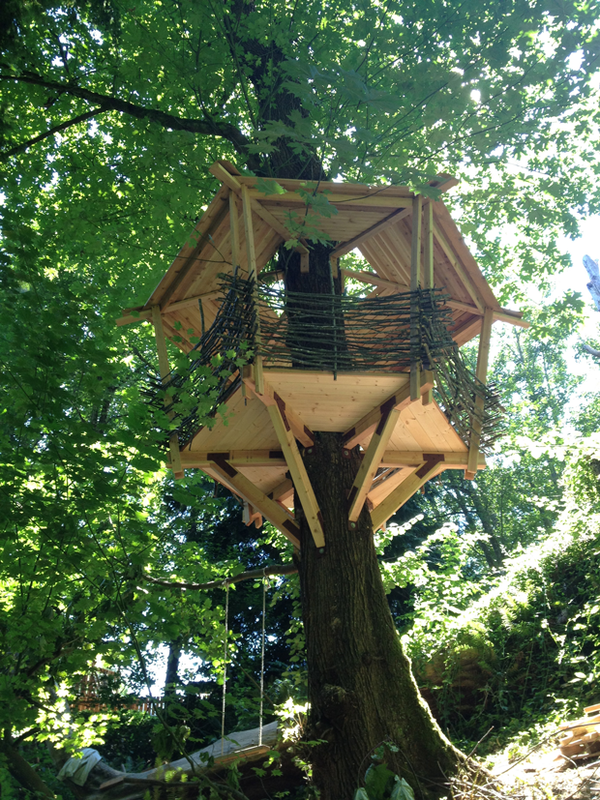 This tree house was a fun design build project we got to work on one summer for a family in Olympia. It was like being a kid again, playing in the woods. We drew our inspiration from watching some episodes of Tree House Masters and Return of the Jedi. Tree house included a secret floor hatch, a rope ladder, and we planned for a zip-line access point. Lots of fun. We really enjoyed this project.